Brooklyn-based avant-rock duo Reliant Tom is breaking sonic ground with their debut album, Bad Orange, which arrives today via Diversion Records. 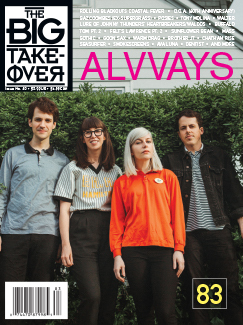 The Big Takeover is delighted to premiere the LP in its entirety. 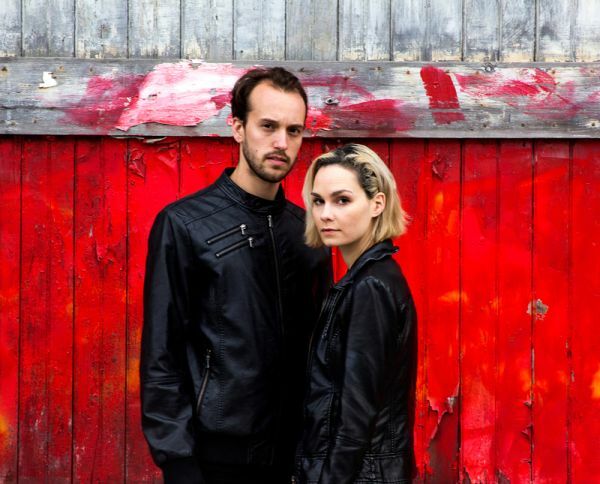 Formed in 2015, Claire Cuny and Monte Weber have a knack for the experimental and with Reliant Tom they create an intricate hybrid of electronic-driven, edgy indie rock. While they can be difficult to pin down, think the intensity of Massive Attack combined with the complexities of St. Vincent. On Bad Orange, the duo sound distinctly ominous and dark like the feeling of an impending storm. There are moments of subtle softness that embody the calm before giving way to bursts of thunder and lightning. Vocalist, Clare Cuny further manifests this foreboding tone ranging from soft and cooling to commanding and explosive. It’s no coincidence that the record was written shortly after the 2016 U.S. Presidential Election. While not overtly political, the record tackles psychological issues of a new American dystopia. In “Alien,” Clare Cuny sings, “I’m not myself today”, reflecting on the evolution of this new normal. Furthermore, Reliant Tom explores the passivity in our society and tries to reconcile with those moments and inject a sense of urgency. “Poor You” is a lush, yet, biting call to action for those who feel a sense of unfulfilled complacency. Sonic-wise, Bad Orange is propelled by syncopated phrases and polyrhythms. Just listen to the dizzying synth line on “SOS” that bounces about with an obscure downbeat that plays off the instrumentation and Claire’s sensual voice. In the title track, Reliant Tom shows their cyberpunk leanings and creates a funky, futuristic spectacle that shines brightly. One of the crowning achievements on this record is single “Happy Birthday.” The duo shows an extremely vulnerable side with this bipolar track where Cuny addresses her mother’s depression and anxiety. The combination of ethereal arpeggios, finger snaps, and stuttering drums with crushing punk rock guitar chords creates a level of emotional tension and conflict that lies at the heart of this record. Despite the dark undertones, there is a light at the end of the tunnel. Final track “Someday I’ll be King” delivers an impossible optimism for the future. It depicts a future where the storm clouds have subsided; a future that sees the female as a symbol of power and progress. Bad Orange was written and recorded by Claire Cuny and Monte Weber. Scott Simon, through Process Haus, aided with the mixing and mastering.